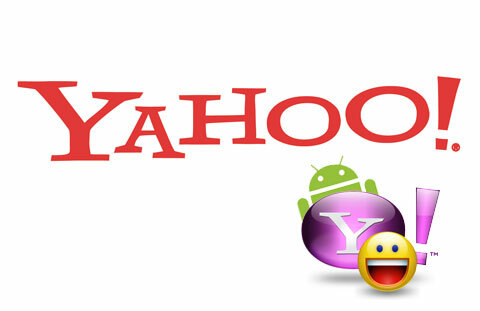 Yahoo and Google may be rivals when it comes to email and internet search but Yahoo is making a smart move by recognising the massive size and potential of the smartphone app industry and has launched today Yahoo Mail and Messenger apps for Android users as well as a Yahoo Search Widget for Android. Not limiting its self to one rival, it has also created new, faster HTML 5 based Yahoo Mail and News sites for the iPhone and iPod touch. Furthermore, users who reside in Canada, Indonesia, Pakistan, India, Kuwait, Malaysia, Philippines, Thailand, United States and Vietnam can send instant messages to friends in these countries via SMS. The apps are available globally as free downloads available in the Android Market, supporting OS 2.0 or newer. Yahoo issued an official press release today introducing all the new functions and improvements now available in a beautiful new interface. Major features now available through the apps to all Yahoo and Android users are as follows. Receive push notification of new email messages. Send emails to contacts from the Yahoo! Address Book as well as to contacts in the native phone address book. Search email messages by sender, recipient, subject and keywords. Upload photos as attachments directly from the phone’s camera or the photo gallery. Insert emoticons and rich text formatting into emails. Effectively manage and organize their Yahoo! Mail messages, folders, and spam. Easily toggle between the Yahoo! Mail and Yahoo! Messenger apps. Easily message friends, check friends’ status updates and availability and update their personal status and availability. Send instant messages to friends via SMS text message. Multitask and stay connected with the app working in the background; with push notifications, consumers can easily catch new messages and friend requests. Get full use of emoticons and rich text formatting. Send photos to friends directly from the phone’s camera or the photo gallery. View HTML messages; compose rich text messages, reply, search emails and access folders while offline. Manage folders and create smart folders with messages from key contacts. Surface photos and video attachments directly within the mail preview. Enjoy a seamless experience with Yahoo! Mail across mobile and desktop.